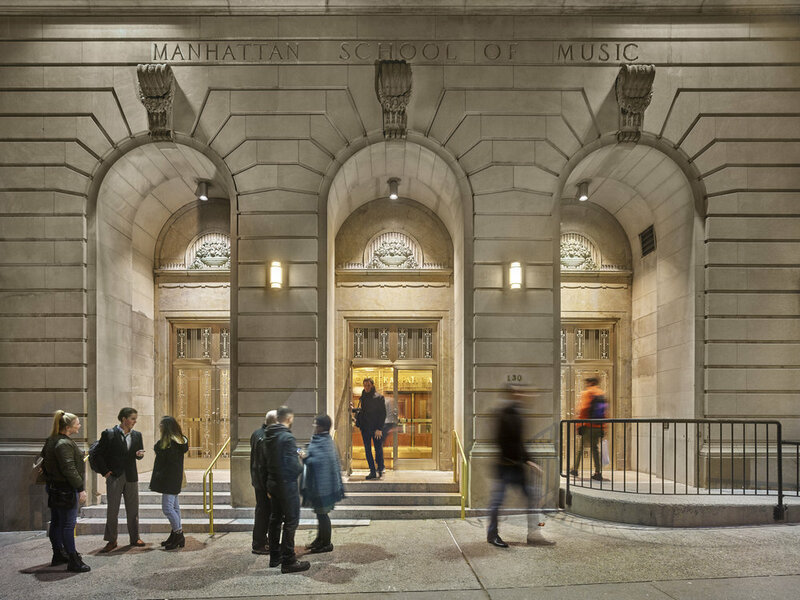 As part of the master campus plan, Yorke was brought on to address the auditorium and public spaces within the Manhattan School of Music historic building, located at 120 Claremont Ave in Manhattan. The auditorium was falling to disrepair and was no longer effective for their programming needs. 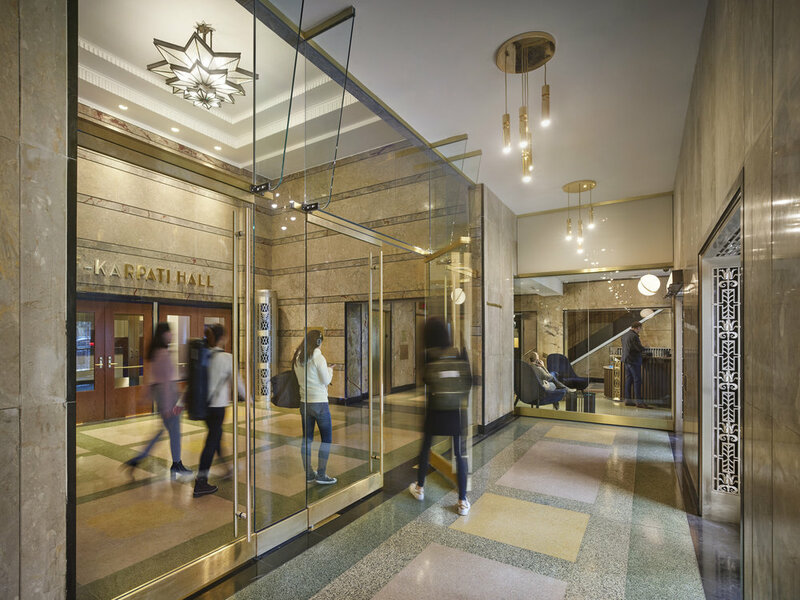 To create the “hall of excellence” MSM was in search of, Yorke started with structurally modifying the overbearing balcony to create a more inviting experience for the audience. New motorized banners along with the acoustical stage shells (cladded in American red gum veneer) will provide ultimate flexibility and a fitting space for nearly all forms of performance theater. Other upgrades include all new AV, stage lighting, theatrical rigging with draperies and platforms. 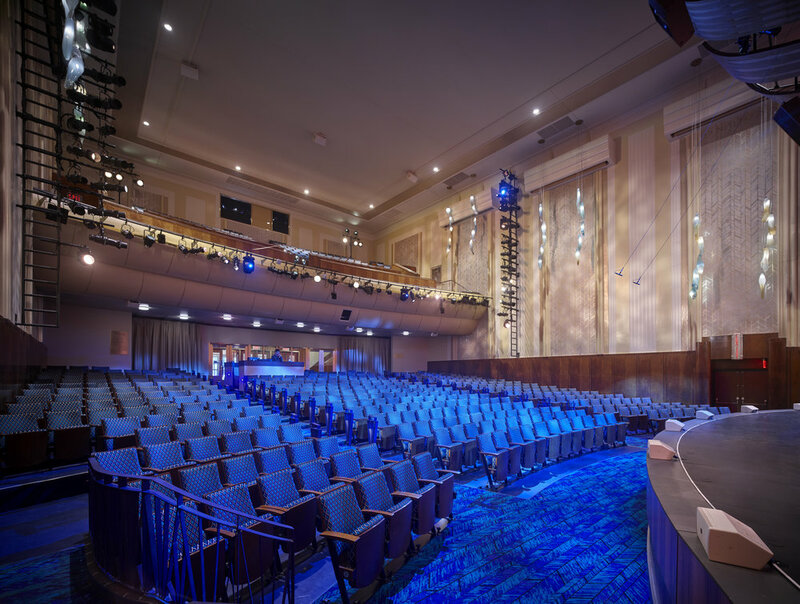 Architectural elements include restored millwork, historic plaster and decorative wall coatings, and custom theatrical seating installed on the new raked seating platform will finish out the auditorium. Outside the theater, the outdated (yet historically relevant) lobby will be re-purposed into the new entrance for the theater space. Original stonework, brass and plaster finishes were restored. New electrical and mechanical systems provide an efficient and comfortable atmosphere for the newly renovated space.